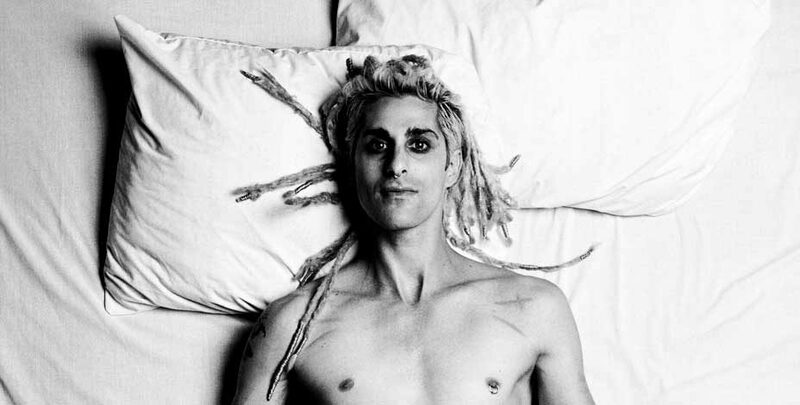 Perry Farrell is a rock star, befitting all of the superlatives. As the lead singer and frontman for Jane’s Addiction, Perry earned a reputation for being one of the most flamboyant and dynamic live performers of all time. His style has been emulated by many of his contemporaries, including the late Scott Weiland of Stone Temple Pilots. Before becoming a successful artist, Perry hacked around Los Angeles working odd jobs, such as waiting on tables, and was literally homeless – living out of his car. Nevertheless, stealing sort of became Perry’s thing, “I became a bit of a klepto.” So “Been Caught Stealing” is autobiographical, and throughout the composition Perry details, with unabashed honesty, his propensity to steal. The song begins with a dog barking over a torrid guitar groove from Jane’s Addiction’s lead guitarist Dave Navarro. The barking heard in the song actually came from Perry’s own dog, named “Annie.” The day of the recording of the song, Perry decided to take “Annie” with him to the studio, and the dog became very excited when she saw her master put on headphones, inducing her to bark incessantly. Although Perry and the band didn’t plan to include pet sounds in the actual recording, when they heard it in the playback, they decided to keep it in the final version. Notorious for their provocative live shows, Jane’s Addiction erupted out of the pivotal LA club scene of the late 80s. Perry named the group in honor of Farrell’s housemate, Jane Bainter, who was their muse and inspiration. “Been Caught Stealing” was their second #1 Alternative Rock track in the United States (their first was “Stop!”) featured on their second studio album Ritual de lo Habitual, released in 1990, and was the track that broke the band onto the U.S. Mainstream Rock chart, peaking at #29. It was also an international hit, rising to #24 in Ireland, #34 in the U.K., and #56 in Australia. Jane’s Addiction also received awards from MTV, a brand that Perry associated with Pop songs. “I didn’t want to be a pop star, I wanted to be a rock musician,“ he tells The Professor of Rock. And while there’s no doubt that Perry and the band succeeded in their mission, there is also no denying that their music has permeated pop culture, being featured in movies, video games, and even at sports venues. In fact, “Been Caught Stealing” has been a go-to for the Los Angeles Dodgers when someone steals a base. “That I do love,” says Perry. Songs like trip away I feel don’t get the praise they deserve. Any time you hear anything from Jane’s Addiction it’s “Jane says”, been caught stealing, or Stop. But in their music repoir they have so many more potential hits. 3 Days is their best song. It’s their “Stairway To Heaven” masterpiece. They have lots of other great songs that are underrated as well. Been Caught Stealing was considered a joke track by the band. They didn’t even want it on the album. The label heard it and insisted it was released as the single. The rest, as they say, is history! Saw them for the first time in the late 80s(?) in Seattle and then at Lollapalooza in 91. I like the hits, but Summertime Rolls gets me. I think Jane’s Addiction (pretty much everything) and Smashing Pumpkin’s Gish (sorta went downhill from there) were above and beyond as far as creativity.